March 16-18. 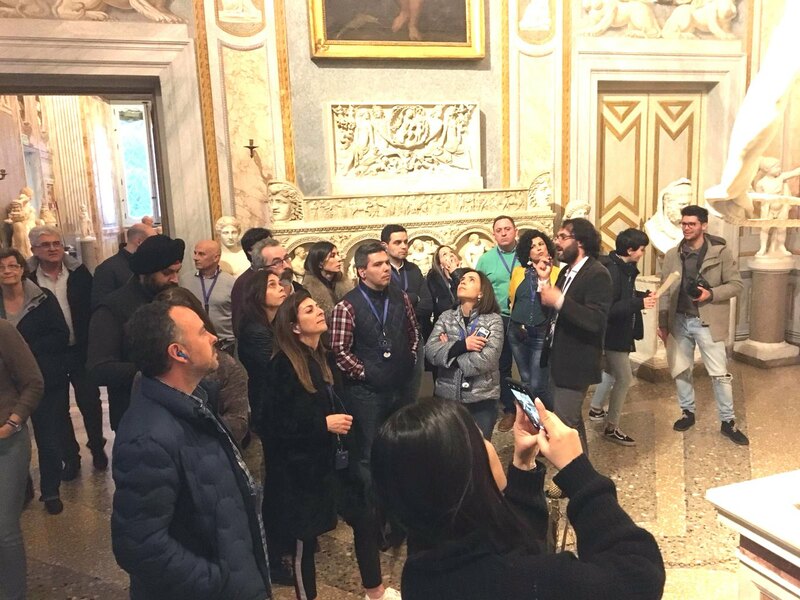 Customers of Al Dobowi Group based in Europe were treated to an incentive trip to Rome. 22 partners from Italy, Spain, France, Germany, Poland, Hungary, United Kingdom, Switzerland and Greece joined the three day Al Dobowi Partners Day. This event aims to recognize and reward key partners with a leisure trip, fostering camaraderie through shared experiences. This year the group saw some of the world’s greatest private art collections in Galleria Borghese and the glorious monuments and architecture in the old city centre. Al Dobowi is committed to continuous business development based on the needs of the market and its partners. Infinity, Eternity and iLink brands were presented during the business meeting, and it was announced that there will be a product launch under the Infinity brand at The Tire Cologne exhibition in May. The range of tyres offered will be significantly improved by adding new sizes in the UHP and SUV categories, and in tyres over 17 inches. In addition to this, the Group also revealed its geographical expansion plans in the region. These exciting growth ventures are based on good performance test results of Al Dobowi’s tyre range, conducted by independent and industry recognized organizations in Germany (Autobuild) and Hungary. Mr. Jasjeev Kandhari, Vice Chairman of Al Dobowi Group, thanked everyone for attending the Partners Day and for the longstanding partnership based on trust. Mr. Kandhari also assured every one of the continued excellence in undertaking business with Al Dobowi Group.